Our range of products include wire binding machine wr200, dsb wr 200e ( wire binding machines ), wiregiant wire binding machines, wr 150e ( wire binding machines ), electrical dsb wire binding machines and wire binding machines. An assortment of Wire Binding Machines is offered by our organization throughout the nation.These machines are acknowledged for their excellent functionality, low maintenance and corrosion resistance among our clients. Standard quality DSB Wire Binding Machines are offered by our organization in the Indian market.The machines we provide are known for their easy usage, low maintenance and excellent functionality to the users. 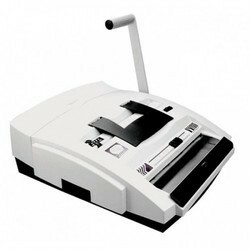 An array of Wiregiant Wire Binding Machines is provided by our firm at affordable prices nationwide. 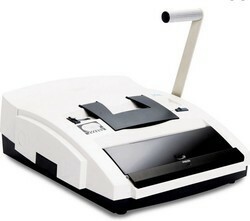 These machines are featured with excellent functionality, durability, low maintenance and easy usage. 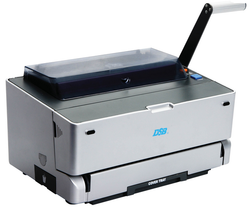 We offer standard quality WR-150E Wire Binding Machines that are widely appreciated in the market. These machines are available in the net weight of 5.5 kgs and these operate using a manual method. Further, these products are used in various industries for different kinds of applications as needed by the users. 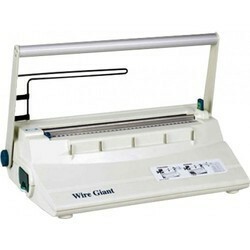 We provide an assortment of Electrical DSB Wire Binding Machines so as to serve the needs of different industries. Manufactured using cutting-edge equipment, these machines are acknowledged in the market for featuring optimum functionality, corrosion resistance and durability. Punch & Bind Individual System For Punch & Bind Which Allows Operating Separately. We are engaged in manufacturing and exporting Wire Binding Machines, which are operated manually. The offered products are regarded for being exceptional in housing and made from high grade material for being easy to maintain and ideal for heavy duty performance. They have remarkable punching and binding ability as designed by our diligent engineers. 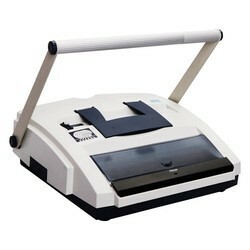 Looking for Wire Binding Machines ?